Methi is one of my favorite greens. I love its flavor and aroma. The addition of a spoonful of dried methi leaves (kasoori methi) takes a dish to a completely new level, be it roits, sabjis or dals. Whenever possible I try to grow methi in small kitchen pots. By far, methi greens are one of the plants that grown really very easily. They really don’t require much tending. Just a little sunlight and water and your home grown methi leaves would be ready to use within 10 days of sowing the seeds. 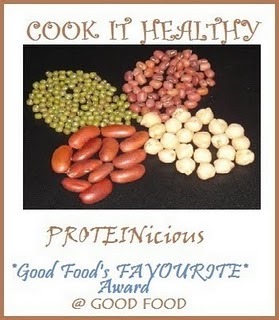 Today’s recipe is a simple but healthy dish. It is perfect for your kid’s lunch box, or for a filling breakfast. Or you could have it for dinner as well. Take wheat flour in a wide vessel, add salt to taste. Mix well. Add the oil and rub well. Now add water little by little and knead into soft and pliable dough. The dough shouldn’t be too hard neither sticky, else the parathas won’t come out properly. Heat a kadai with about 2 tsp of oil. Add cumin seeds. Now add the green chillies and sauté for 30 secs. Not add the washed and cleaned methi leaves and fry till the leaves have wilted and the moisture has evaporated. Now add the mashed potatoes and grated paneer. Mix everything very well without any lumps. Add salt, garam masala powder and amchur powder. Mix again. For making the parathas, pinch out a lemon sized ball from the dough, roll out into a small disc. Place a spoonful of filling in the middle and bring the edges together to completely cover the filling. The edges should overlap slightly to seal the masala. Gently flatten the filled ball. Dust with flour and roll out to a flat disc of about 5-6 inches. Heat a tava (griddle). Roast the paratha on medium heat till done on both the sides. Grease the paratha with a little oil while cooking. Delicious hot parathas are ready to eat. Serve with pickle and fresh yogurt. Linking this to EP Series - Fenugreek and Green Chillies happening here. 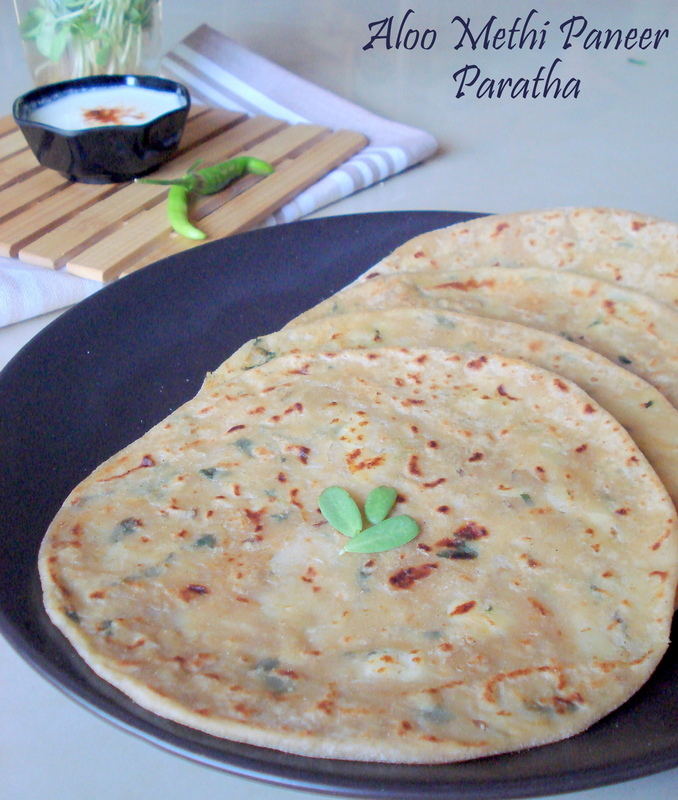 Parathas..anytime for me..even I love methi flavour. Wow...healthy and meaningful making them.I depend much upon parathas to feed my little one here.Nice addition.I am bookmarking.thank you Kaveri. healthy stuffing.. perfect with raita..
All my fav ingredients in stuffing, love this parathas very much..
One of my favorite parathas and I too make it the same way. awesome Kaveri, filling is so good. Methi is my husband's fav. I will make for him soon. 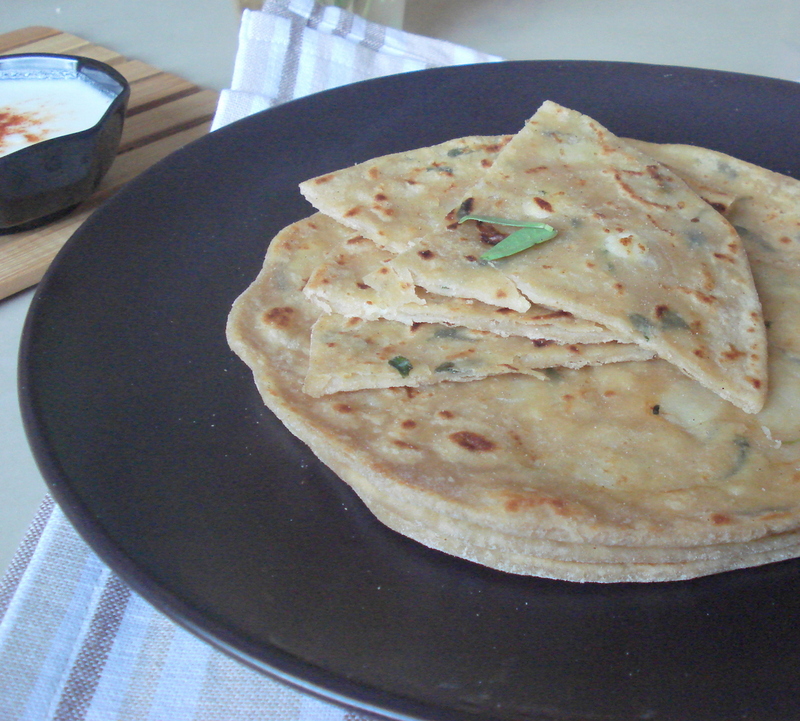 Healthy and yummy parathas,love the filling,will surely try this. Wow this is yum Kaveri. Love this combo, aloo,methi and paneer.. 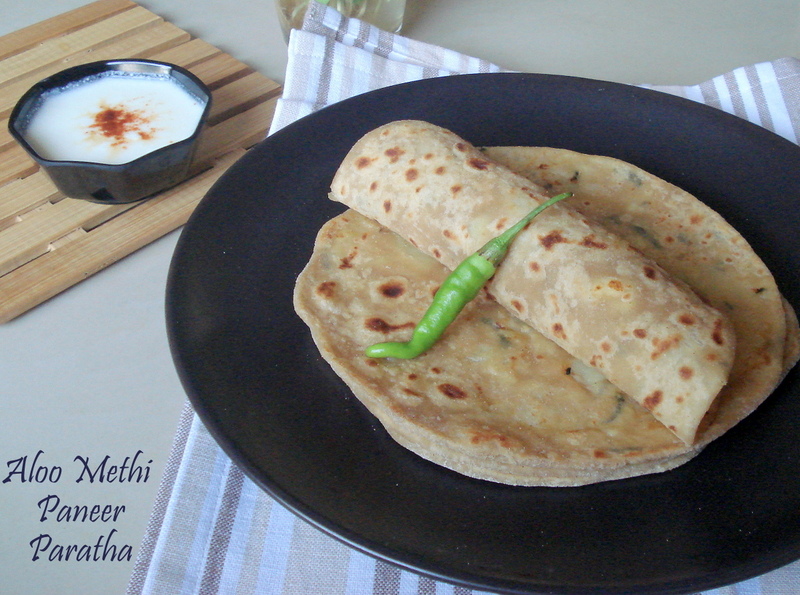 Delicious partha, love that it contains all methi, paneer and aloo. awesome and superb combo of aloo methi and paneer. Very healthy paratha, all stuffing ingredients are my favourite. Perfectly made. Goes well with raita. wow..very healthy delicious combo,dear..yummy yum parathas!! 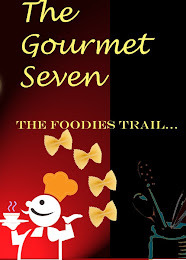 Please collect the fabulous blog ribbon award from my space..
Parathas look soft and yummy, just as they should be. Great stuffing! Such yummy parathas!!! I love methi aloo combo!! I simply love it kaveri. I am someone who like methi leaves a lot though it gives slight bitter taste. I would like to have it for my lunch to day. looks so yum..